Put ice cream and peanut butter in kitchen aid mixer on a low setting and mix together for 30 seconds. Scrape ice cream out of kitchen aid mixer, put it back in the ice cream carton, and return to freezer. Ready to Serve. Makes 4 servings, 340 calories per serving. 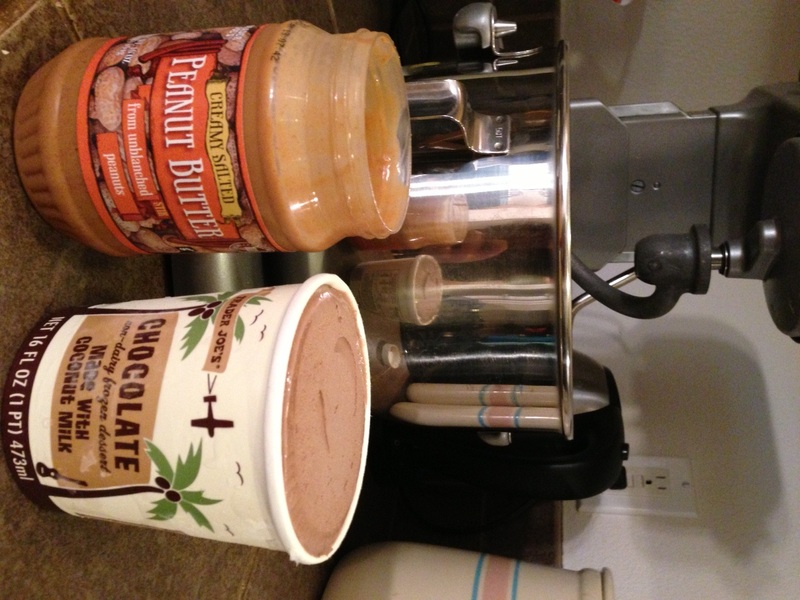 Pour melted chocolate peanut butter topping directly over ice cream. It should harden within a minute or two. This entry was posted in Dessert and tagged creamy, dairy-free, dark chocolate, gluten-free, peanut butter. Bookmark the permalink.